The heavy duty design is the key to our CNC aluminum camber arm. Our camber arm is 1.28in thick and uses a 5/8in QA1 teflon liner race rod end and a polyurethane bushing. These components allow for smoother suspension travel as well as absorbing vibration transfer. 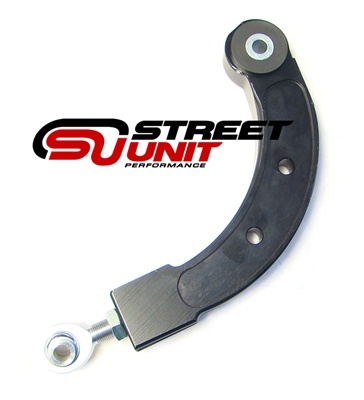 These billet rear arms for the Mazda 3 & Mazda MPS 3 are perfect for Mazda owners that need extended camber range.